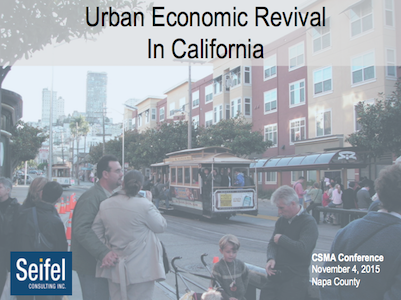 Joining Libby on "Urban Economic Revival in California" are Karen Ribble (Fitch Ratings) and John Shirey (City of Sacramento). Established in 1986, the California Society of Municipal Analysts (CSMA) is a non-profit organization that fosters professional development through discussions, meetings and presentations of issues relevant to municipal credit analysis. Click here for the final agenda for this Thursday, November 5 conference.